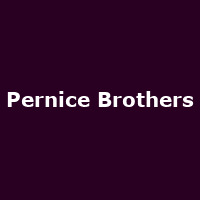 Indie-rock duo formed by Joe Pernice and his brother Bob in 1998. Joe's previous incarnation was with Scud Mountain Boys another similar alt-country-rock band. Joe Pernice published a book and soundtrack in 2009 entitled 'It Feels So Good When I Stop', a Nick Hornby-esque love-story fuelled by a typically eclectic musical soundtrack produced by Bob Pernice.